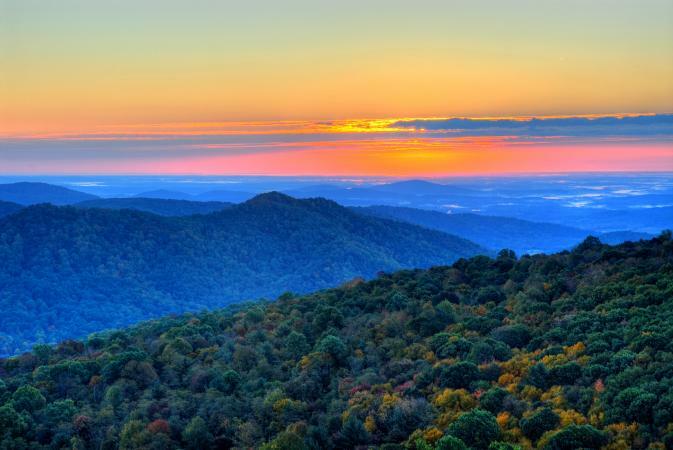 Offering vast miles of wilderness, Shenandoah National Park is the only U.S. National Park located in Virginia. The area was selected as a national park in part because of its uncompromising beauty and also to provide those living in the eastern United States with an enchanting natural playground. The picturesque national park is set within the gorgeous Blue Ridge Mountains, which form a portion of the Appalachian Mountains. The Massanutten Mountains are also part of the park. Between these two mountain ranges is a valley containing the Shenandoah River. Over 500 miles of trails wind their way through the park, including 101 miles of the world-famous Appalachian Trail. Some trails lead to waterfalls or breathtaking viewpoints while others take you deep into the back country wilderness. Hiking trails range from very easy to very strenuous that will challenge even the seasoned hiker. Fall and spring are your best bet for mild temperatures. Trees are ablaze with color in mid-to late fall while waterfalls are likely to be most spectacular during spring. Trail marker posts equipped with stamped metal bands that show directional and mileage information are located at trailheads and intersections. Trail blazes are colored marks on trees and rocks that indicate the trail type. You must pay an entrance fee to hike in the park: $25 per vehicle, $20 for a motorcycle or $10 for individuals arriving on bicycles or buses. The permit is good for seven consecutive days. On certain holidays, you can enter the park for free. Old Rag is the one of the most popular trails in the park. It is also one of the most challenging and dangerous. From start to finish, the complete circuit is nine miles and includes a significant increase in elevation and a strenuous rock scramble. It takes good upper body strength to navigate the rock scramble; children and shorter adults often require assistance. Dehydration can quickly become a serious problem so it is recommended to bring two quarts of water per person. You'll be rewarded with a number of stunning views and photo opportunities from the giant boulders of Old Rag. Allow at least seven to eight hours to complete this hike and bring headlamps in case you are finishing after dark. Refer to a map of Old Rag and the surrounding area for more helpful tips and information. 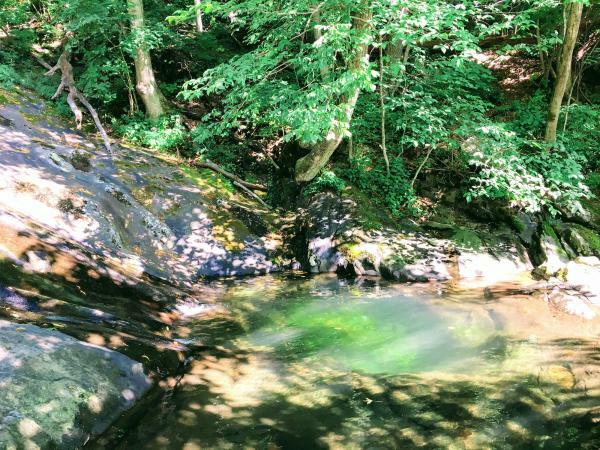 Located in the stunning White Oak Canyon area, the Cedar Run-White Oak Circuit trail is a popular day hike that takes five to six hours to complete. Among the gorgeous scenery, you'll encounter eight different waterfalls, including the 86-foot-high Whiteoak Cascades. Some sections of the trail are extremely steep, giving the hike a rating of very strenuous. However, when the water levels are high, you can actually swim and slide down rocks in one spot along the trail. The map of White Oak Canyon shows the Cedar Run Circuit with details about elevation and grade. If you're more interested in a panoramic scenic view or a short excursion that the whole family can enjoy, the Stony Man Trail is a good option. At just over a mile and a half long, the trail can be completed in one hour but give yourself a little extra time to sit and enjoy the spectacular view from Stony Man Peak, the second highest summit in the park. From here you can see down into the Shenandoah Valley and, off in the distance, the Massanutten and Allegheny mountains. The Stony Man Mountain map clearly details this hiking trail with what to expect. Many of the park's highlights are found by traveling along the 105-mile long Skyline Drive. This scenic road winds along the mountain crest and offers a multitude of spectacular vistas. Along the way, you'll find dozens of trailheads to the park's numerous hiking trails. 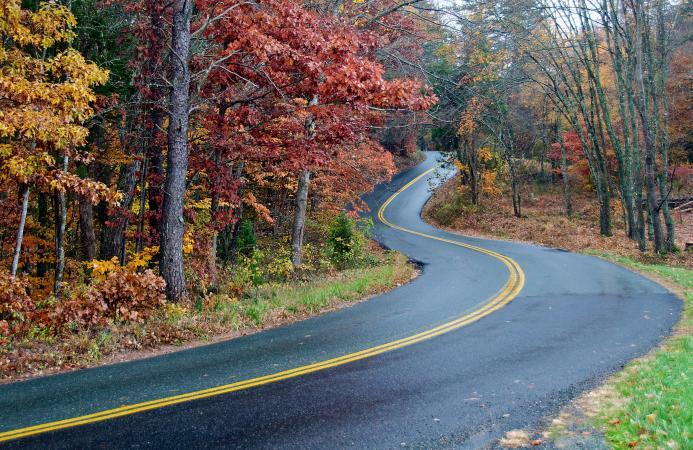 Skyline Drive is fantastic for families with children of all ages. Toddlers can easily conquer many of the trails and the simplicity of other trails makes it no problem for even a baby to be carried along. Some trails are even paved, making it possible to push small children in a stroller. Even children who do not want to hike the trails can enjoy the scenery during the car ride. Many waterfalls, boulders, streams, and other natural areas to explore can be found by simply pulling the car over and getting out. In addition, it is not unusual to spot deer, wild turkeys, and even black bears along the side of the road. Upon entering the park, guests receive a fairly detailed map indicating where restrooms and restaurants are located along Skyline Drive. There are many places to stop for a restroom break and the restaurants, such as Big Meadows Lodge and the Skyland Resort dining room, offer a great variety at a reasonable price. Alternatively, visitors can choose to have a takeout picnic prepared at either of these locations. Another option is to have a light snack at the Elkwallow Wayside, the Panorama, Big Meadows Wayside, or Loft Mountain Wayside. Bicycles are limited to Skyline Drive and other paved areas of the park, such as the one mile stretch of pavement on Rapidan Fire Road. Bicycles are not permitted on trails, unpaved roads or grassy areas. Steep hills and blind curves make Skyline Drive a potentially treacherous road for bicyclists, so use extreme caution. Lights and reflectors are required for both the front and back of the bicycle. Over 180 miles of horseback trails are available in Shenandoah. 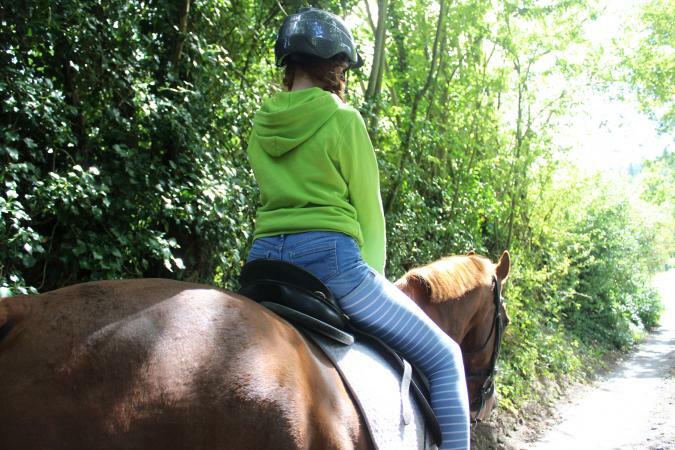 If you plan to trailer in your own horses, download a copy of the Horse Use Regulations, which includes an extensive list of the dozens of trails open to those on horseback. You can also make arrangements to reserve a horse for a guided trail ride by calling Skyland Stables at 877-847-1919. You must be at least 4 feet, 10 inches tall to ride and weigh no more than 250 pounds. Helmets must be worn and you can't wear open-toed shoes or high heels. Rates vary by length of ride. Daily departures at 10 a.m., 12 p.m., 1:15 p.m. and 2:30 p.m.
Saturday only at 3:45 p.m.
Friday to Sunday only at 8:45 a.m.
Saturday only at 8:45 a.m.
Sunday only at 8:30 a.m.
Make sure you arrive at the stables 30 minutes prior to the departure time. Pony rides are available for smaller children as long as their feet can reach the stirrups. The cost is $6. 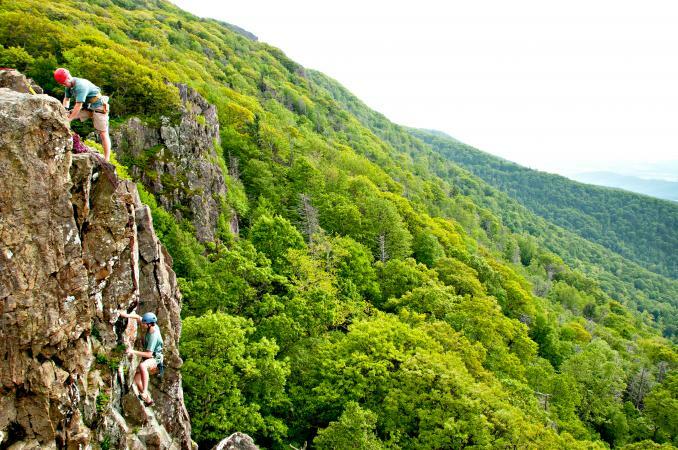 Shenandoah offers some of the best rock climbing locations in the eastern United States. Scheduled classes for rock climbing and rappelling are offered by Shenandoah Mountain Guides by calling 877-847-1919. Classes typically begin at 9 a.m., starting from Skyland (see the Lodging section). A maximum of six paid participants is accepted for departures. A minimum of two paid participants is necessary for each class. Advance notice of seven days is necessary for cancellations and likewise is given to participants in the event of class cancellation due to weather or lack of participation. The minimum age requirement is eight years old and children 17 and under must be accompanied by an adult. The Shenandoah Mountain Guides are highly respected, full-time instructors who are also certified EMTs with an average of 15 years experience teaching rock climbing techniques. Classes take place at Little Stony Man Cliffs. Wear sturdy athletic shoes and bring a small backpack with a light rain poncho and camera to capture your experience. Shenandoah has dozens of mountain streams flowing throughout the park with a healthy population of fish that is carefully managed by the National Park Service. Fishing is a fun activity the entire family can enjoy as long as everyone follows the recreational fishing regulations that help fish populations survive and thrive. A variety of lodging opportunities await guests. Many private businesses and even residents offer homes and cabins for rent outside of the park in towns such as Front Royal and Luray, Virginia. Lodging is also available within the park by calling 877-847-1919 or by booking online for a stay at any of the following locations. 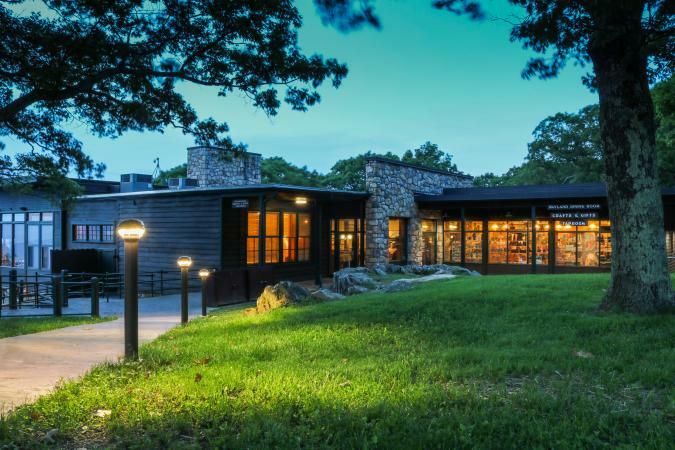 Located at mile 41.7 and 42.5, at the highest elevation along Skyline Drive, Skyland makes a great base for overnight stays. Rating high on TripAdvisor, Skyland offers a variety of accommodations. None of the rooms at Skyland have telephones but cell phone service is available depending on the carrier. Family-friendly entertainment is provided nightly inside the Mountain Taproom. The resort also has a gift shop and an ATM and offers horseback riding at the Skyland Stables. Skyland is open from late March through late November. About ten miles further, at mile 51 on Skyline Drive, you'll find Big Meadows Lodge. This resort also offers varied accommodations. Rooms here don't have phones and cell phone service is limited. However, free Wi-Fi is available in all guest rooms and in the main lodge building. Inside the lodge, you will also find a large dining room, an ATM, the Craft Shop, and the New Market Taproom, which offers free nightly entertainment. 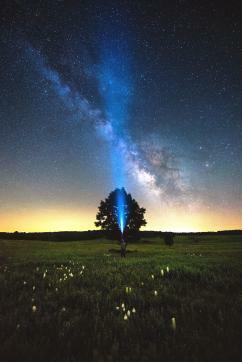 The resort is located next to a large grassy meadow perfect for night sky viewing. Big Meadows Lodge opens the first week of May and closes for the season on November 10th. At mile 57.5 on Skyline Drive, take the exit for a reserved spot at one of the park's most rustic locations, the Lewis Mountain Cabins. Accommodations here are designed for couples and families that really want to get away from it all and find a stronger connection to the Blue Ridge Mountains surrounding them. These rustic cabins don't have refrigerators, phones or kitchenettes. Cooking can be done on outdoor grills with meals served on picnic tables and food must be kept in personal coolers. If you want to disconnect yourself, your significant other or your kids from cell phones and the Internet, this is the place to do it. For those with tents, trailers or RVs, there are five different campgrounds that can be accessed from Skyline Drive. These campgrounds are operated by the National Park Service. Reservations for the four campgrounds that accept them can be made at Recreation.gov. Backcountry camping in wilderness areas is also allowed if you have a permit. Backcountry camping permits can be obtained in person at a park visitor center or in advance (at least two weeks) by mail by contacting park headquarters. Please take note of alerts such as high fire danger, which prohibits campfires except in park constructed fireplaces. Remember to follow the National Park Service's policy of Leave No Trace to help preserve and protect wilderness areas. The rich ecological diversity of the region is often celebrated in the form of organized events. Three of these events have evolved into annual festivals held each year inside the park. September is the month for apple lovers to book a room at Skyland or nearby at Big Meadows Lodge to attend the annual Apple Butter Celebration. The day-long event begins at 10 a.m. on the grounds of Skyland, where staff members begin boiling apples in large copper pots. 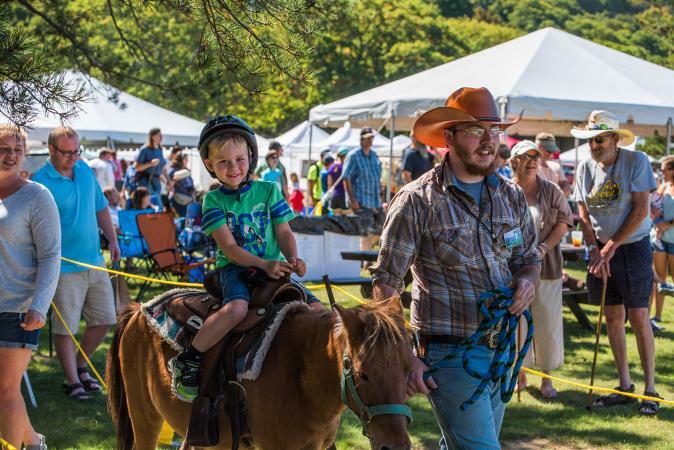 Other activities include wine and hard cider tasting, pony rides, children's crafts and live entertainment. Be sure to book a room or cabin at Skyland or Big Meadows Lodge well in advance as rooms fill up quickly for these popular annual events. The third annual Night Sky Festival is slated for August in 2018. A quick review of the prior year's activities gives you a good idea of what to expect. This weekend-long festival takes place at various locations within the park including the Big Meadows Ampitheater, Dickey Ridge Visitor Center and Rapidan Fire Road. Book a cabin or room or reserve a camping spot as soon as the official dates are posted on the calendar of events at GoShenandoah.com. Other astronomy events take place throughout the spring and summer in Shenandoah, due to the stunning clarity of astronomical objects in the park's dark night skies. Aside from the many trails located along Skyline Drive, visitors can enjoy a stop at Skyline Caverns at the northern entrance of Skyline Drive. These magnificent caverns remain a comfortable 54 degrees throughout the entire year. In addition, they are home to the rare Anthodite formation. In fact, Skyline Caverns are one of only a few caverns in the entire world to boast this formation. The delicate, white Anthodites are a sight to behold as they twist in many different directions and seemingly defy gravity. Their rate of growth is estimated to be just one inch every 7,000 years. Children enjoy browsing through the unique gift shop and riding the miniature train. The ten-minute ride takes place on a one-fifth-scale train that takes riders on a loop overlooking Kissing Rock, Horseshoe Curve, Apache Flats, and Sinkhole Overlook. It even goes through the miniature Boothill Tunnel. The train is not a part of the cavern tour, but can be purchased to be enjoyed while waiting for the next tour. There seems to be something for everyone at Shenandoah National Park, whether it's a romantic getaway for couples old and young alike or a fun family vacation. Activities abound both day and night with adventures limited only by your imagination.